No FAIR! The unfortunate race to the bottom for worker rights. 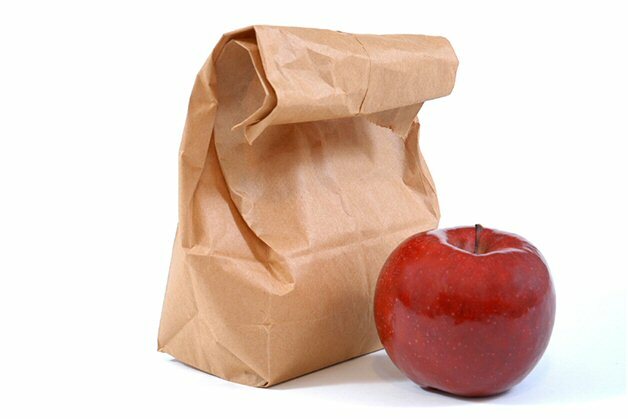 Imagine a school lunch room – hungry kids eagerly opening lunch boxes and bags, ready to dig in. Over at a corner table, a group of kids sit with meager lunches; some have nothing to eat at all. When you consider this image it’s not hard to imagine how you’d feel. Most of us would want to do something quickly for the kids without enough to eat. Now picture this; the same lunch room, the same kids with healthy lunches and the same kids with little or nothing to eat. Imagine the lunch room monitor throwing away the nutritious lunches because others don’t have as much, saying it’s just not fair that some should eat when others are hungry. If some have to suffer on next to nothing then everyone should suffer. The argument that no-one should have more than the least fortunate of us is an increasingly common, divisive and destructive argument. In this story, unionized workers are the kids with the healthy lunches. The more you hear from the right wing media the more you’ll believe that the economic difficulties faced by western society are all because of greedy union workers. The facts are that corporations have rights similar to those of individuals, that pay levels for CEO’s have ballooned & ballooned again over the last two decades and that powerful corporate lobbies influence and control our governments. We hear again and again how unions are too big, too strong, too powerful – how unions have destroyed the economy, ensuring that jobs are moved offshore, taking with them all hope for advancement and prosperity of the middle class. The reality is that prosperity and the middle class came to be in North America because of unions. Collective bargaining secured the things we take for granted. Those advantages will disappear completely with the destruction of unions and the labour movement. Whatever your opinion of unions it would be difficult to imagine any corporate agenda that would choose to spend any more on worker rights and benefits than absolutely necessary. If unions would simply step out of the way and stop demanding health & safety provisions, liveable wage certainty & health care benefits, more profit could be earned for shareholders and CEO salaries could be even higher. Why would any employer choose to give paid vacation leave if it didn’t have to? Why ensure new mothers can take time off to care for new babies? Removing hard won benefits and lowering salaries in unionized sectors will only encourage private sector and non-unionized employers to continue the downward trend; offering ever lower wages, fewer benefits, part-time jobs and no pensions. Unions protect workers. Unions create higher standards for all workers, whether they are in a union or not. In a just society, we try to make sure everyone has what they need; we try to raise people up with dignity. The lunch room analogy is an illustration of the race to the bottom we see so much of these days – the argument that because some don’t have much, nobody should have anything. It’s a mean spirited analogy; a mean spirited belief. It goes against the core values of most of us in this country. When we stop to think about it, is blaming unionized workers and trying to strip them of their rights any different than throwing out a lunch? Let’s try instead to make sure that everyone has access to a living wage, to health care, to dignity and security. It’s not a free lunch; it’s fair. This entry was posted in At Issue and tagged bargaining, blame, Canada, collective agreement, equality, just society, labor, labour, politics. Canada, social justice, union, worker rights, Yukon. Bookmark the permalink. ← Taking Union leave? Make sure you get paid!